by Gary Bauer, Contributing Author: D.C. Rocked - Shocking allegations against Senator Al Franken (D-MN) rocked Washington, D.C., yesterday. Leeann Tweeden, a news anchor for KABC in Los Angeles, came forward with accusations that Sen. Franken sexually assaulted her during a 2006 USO tour. A second woman, Melanie Morgan, leveled other disturbing charges against Franken yesterday. Franken is now under heavy fire. Senate leaders Mitch McConnell (R-KY) and Chuck Schumer (D-NY) have called for an Ethics Committee investigation. "This revelation is a test of the Democratic Party's consistency, honesty, and decency. 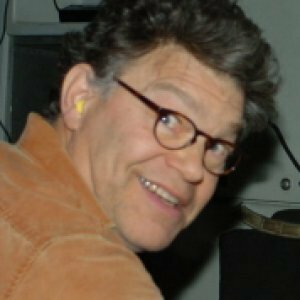 If Democrats wish to preserve whatever moral standing they have today, they must exhort Franken to leave the Senate, with no hesitation or reservations." That biting indictment did not come from the Republican National Committee, but from the left-wing news site Slate. Top Minnesota officials, including State Auditor Rebecca Otto, are also demanding Franken's resignation. Even Franken's friends in Hollywood are turning on him. There is a big difference between Tweeden's charges against Franken and those against Judge Roy Moore in Alabama. There is real evidence against Franken, and this inappropriate conduct is much more recent. There is very little evidence in the accusations against Moore and there are many questions about what happened four decades ago. Speaking of Alabama, White House Press Secretary Sarah Huckabee Sanders said yesterday, "The President believes that these allegations are very troubling and should be taken seriously, and he believes that the people of Alabama should make a decision on who their next senator should be." But there is a bigger story ready to explode on Capitol Hill. Earlier this week, Rep. Jackie Speier (D-CA) testified before the House Administration Committee that two current members of Congress have committed sexual assault. Rep. Barbara Comstock (R-VA) said that one congressman "decided to expose himself" to a female staffer. Sen. Lindsey Graham (R-SC) is demanding that these congressmen be named and held accountable. My good friend Mark Levin has been making that same demand for several days on his radio show. Over the years, there have been incredible scandals on Capitol Hill -- Barney Frank, Bob Packwood, Gerry Studds, Mark Foley. As we have seen from the continuing scandal in Hollywood, this could easily become a huge story. Operation Raging Bull - Do you remember just a few years ago when there was a surge of children, "unaccompanied minors," crossing the Southern border into the U.S.? When this surge happened, we were deluged with pictures of kids clutching teddy bears. Even though such images were proof positive of our open, porous borders, left-wing talking heads and politicians lectured us ad nauseam about compassion. Well, the government just announced the results of "Operation Raging Bull," a nationwide crackdown against the dangerous Latin American gang, MS-13. Law enforcement authorities arrested 214 MS-13 members across the country, and another 53 in El Salvador. Only 16 of those arrested are U.S. citizens. And nearly one-third of the illegal immigrants arrested in this sweep came into the country as "unaccompanied minors." Many school districts and local communities saw their budgets stretched to the max attempting to accommodate these illegal immigrants. We have no idea how many crimes these gang members committed. But we do know that the more than 55,000 illegal immigrants in federal, state and local prisons committed on average 12.7 crimes. We will never know the total cost to society for the "compassion" of the Obama Administration and its left-wing enablers. Kudos To Grassley - Sen. Charles Grassley (R-IA), chairman of the Senate Judiciary Committee, announced hearings yesterday for two of President Trump's conservative judicial nominees. This was no mere routine announcement. The nominees -- David Stras for the Eighth Circuit Court of Appeals and Kyle Duncan for the Fifth Circuit Court of Appeals -- were being held up because their home-state senators had not returned their "blue slips." There is nothing in the Senate rules about blue slips. They are just a tradition that developed over time. But since Harry Reid eliminated the filibuster against judicial nominees, Democrats have started abusing the blue slip policy as a substitute filibuster, with individual senators effectively wielding veto-power over a nominee's fate. "The blue slip courtesy is just that -- a courtesy. For 100 years, Judiciary Committee chairmen have asked for the views of home-state senators on judicial nominees via the blue slip. The blue slip is meant to solicit insights into nominees and ensure that the White House is adequately consulting with home-state senators. . .
"But some of my Democratic colleagues and left-wing outside groups mistakenly assert that the blue slip affords a home-state senator veto power over a nominee. That is not true. "Please take a moment to contact Senator Grassley at 202-224-3744. Thank him for advancing President Trump's conservative judicial nominees. Tags: Gary Bauer, Campaign for Working Families, D.C. Rocked, Senator Al Franken, Raging Bull, Kudos To Grassley To share or post to your site, click on "Post Link". Please mention / link to the ARRA News Service and "Like" Facebook Page - Thanks!